We are THE HACKETT-KYNE ACADEMY OF IRISH DANCING. We are based around South East London and Kent, including Medway. You can find group and private classes in Bexley, Sidcup, Hextable, Maidstone, Gillingham, Chatham, Wigmore, Rainham, Northfleet and Vigo. We hold Irish dancing classes for ADULTS and CHILDREN, including PRE-SCHOOL classes 'Celtic Tots'. The Hackett-Kyne Academy are an affordable Irish dance school allowing the students to enjoy their hobby, gain experience and meet people, as well as hopefully fulfilling their dreams. Our classes are great to help children and adults gain confidence while also keeping them fit and healthy. Both Tara and Natalie have their TCRG qualifications. 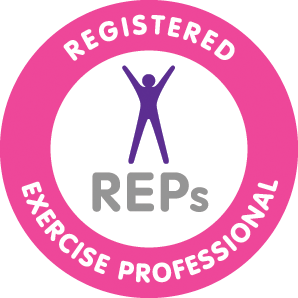 Natalie has also been registered with REPs since 2009 when she completed her 'Exercise to Music' course and her 'Health Related Exercise for Children' course. Since then, Natalie has also qualified to be an Advanced Personal Trainer, a Gym Instructor and a Nutritionist. This enables the children to perform their dances well and safely. The school is registered with An Coimisiun le Rinci Gaelacha (Irish Dancing Commission) in Dublin, Ireland. Competitions – They are a large part of the dancers progress and we encourage dancers to compete at different levels throughout the UK. To date, we have had dancers at the Great Britain’s and the World Championships including many local feiseanna. Grade Exams – Students are also encouraged to enter for Grade Exams, which are held each year by the Hackett-Kyne Academy and we invite other schools to join us. Please contact us if you would like a quote and we can arrange the dancing to suit your event. It was a great night and all the dancers, musicians, singers, parents, teachers, helpers and audience were a great help. Thank you again and watch out for our 2012 show.